A fun way to celebrate the family you hold dear! Whimsical resin keepsake is handlettered. Largest family measures 2-3/4" x 4-1/2". 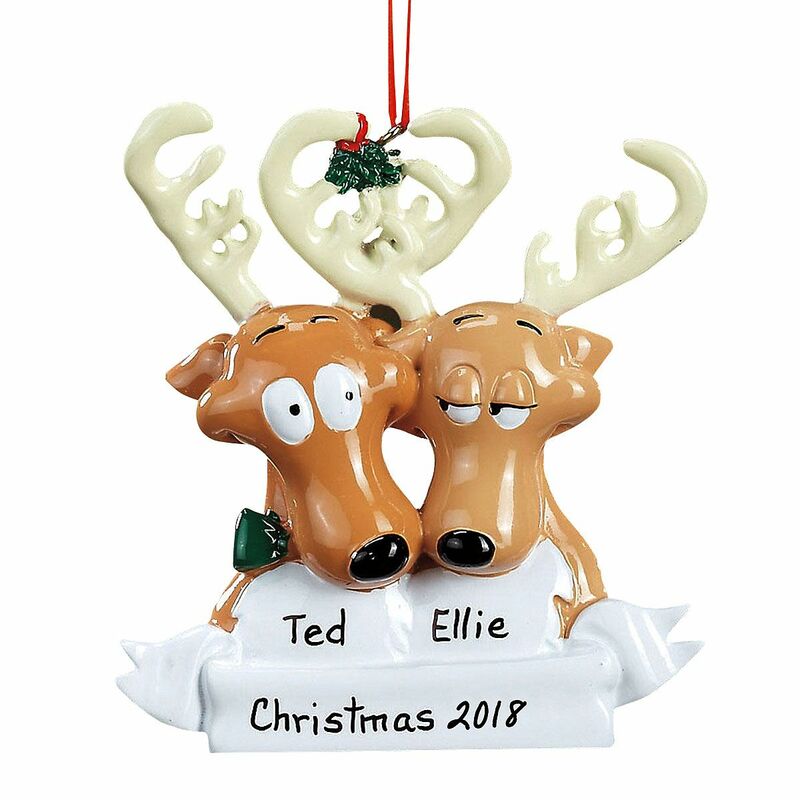 Specify 2 - 6 deer with names up to 8 characters each plus name or message for banner, up to 14 characters.